Latimer graduated from Taunton High School in MA and the Wentworth Institute of Technology. 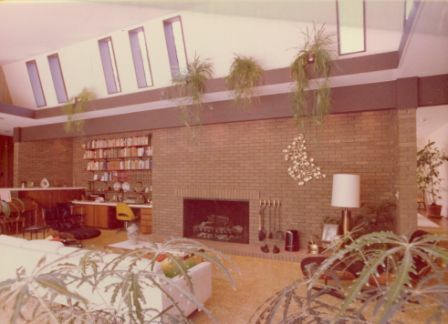 He also studied Architectural Design at MIT and earned a BS in Architecture from the Rhode Island School of Design. 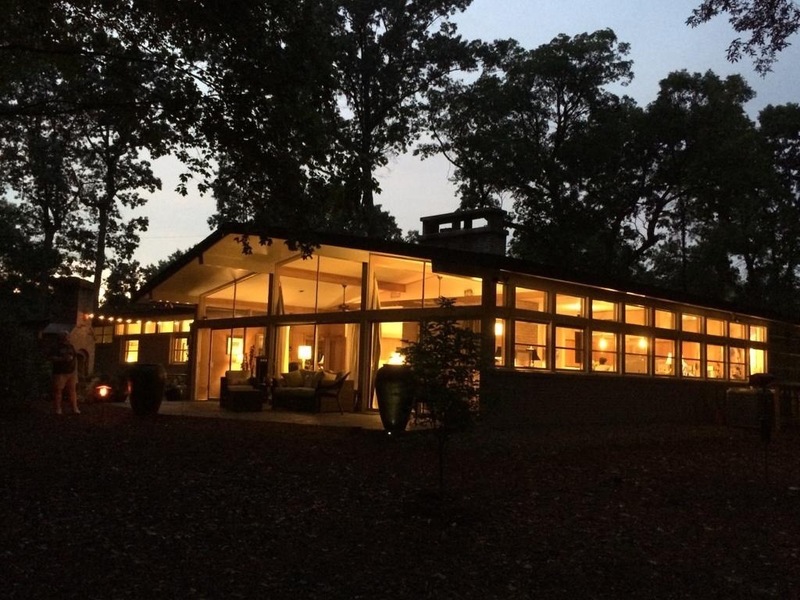 In 1950 he relocated to North Carolina to work for Mount Hope Finishing Company and began a long private architectural practice in Durham in 1953. 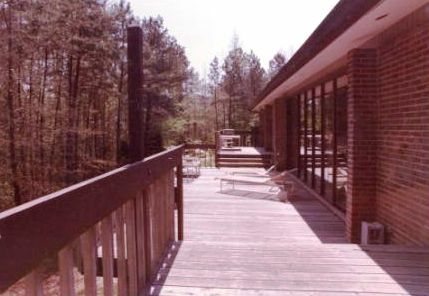 One of his award-winning designs is the Cedar Terrace Offices near South Square in Durham, photo below. 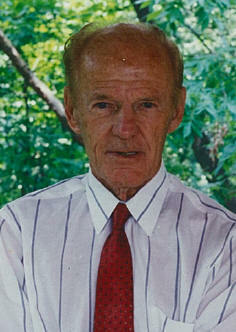 The project architect was Roger Clark. 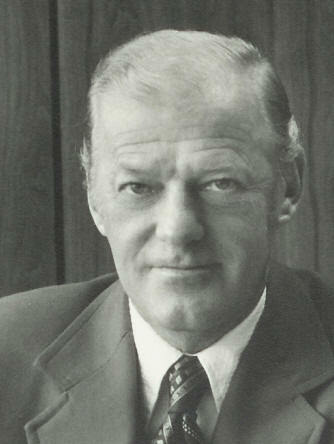 Latimer was appointed by Governor Robert Scott to the NC Board of Architects and later served as President. 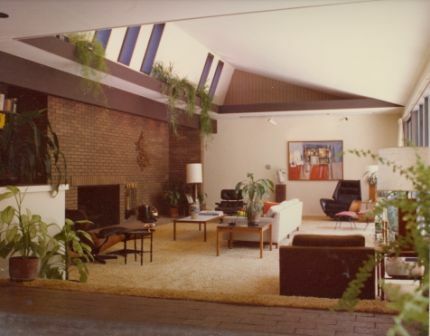 Latimer retired to his perennial summer home in Cape Cod where and practiced architecture with son JW LeRoy (Roy) Latimer and son-in-law Tom Lawson as the firm Latimer Lawson. 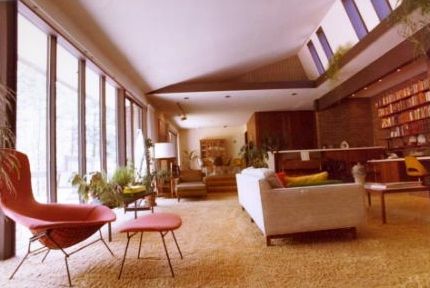 Latimer had three daughters, one of whom, Ann, also practiced architecture with him. 1953 - The Hilda Cannady Crumpler House, 1009 West Cobb Street, Durham. Two very large patios up and downstairs. 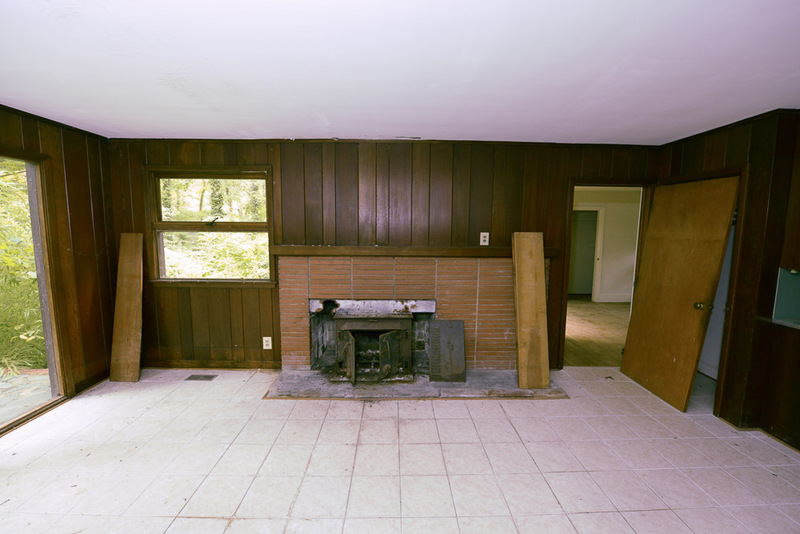 Hardwood floors, two chimneys with three different fireplaces. 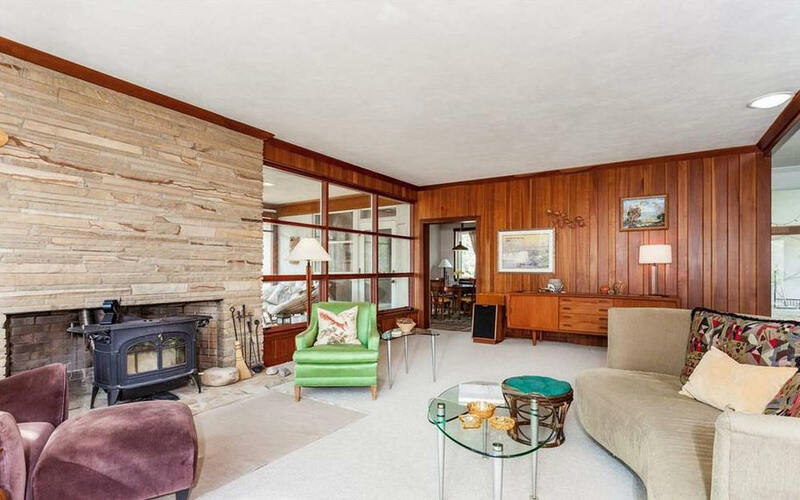 Sold in 1961 to Glenn J. and Anne Farrell. 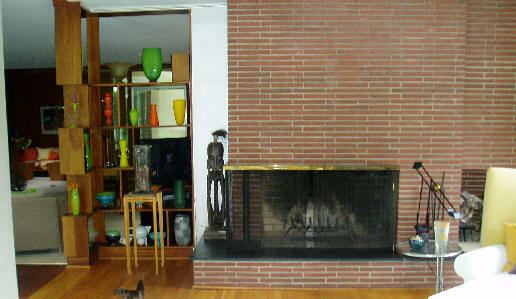 Sold in 1980 to Grace R. Walters. Sold in 2001 to Stanley McCauley. 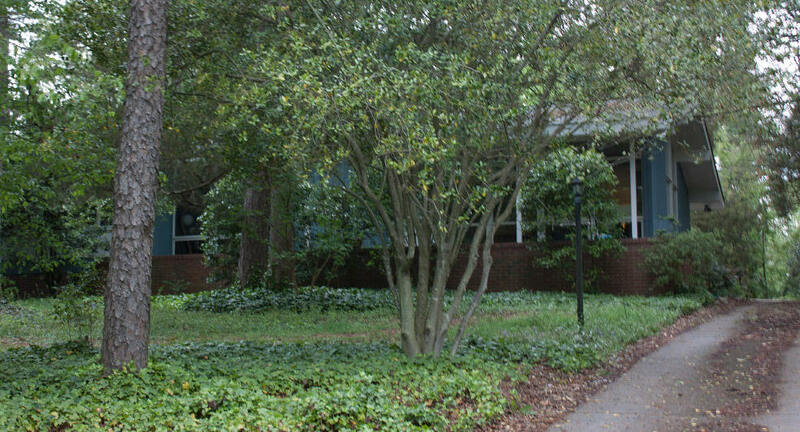 On one acre in several parcels. Vacant for seven years. Was #1 on NCMH's Endangered List in 2013. 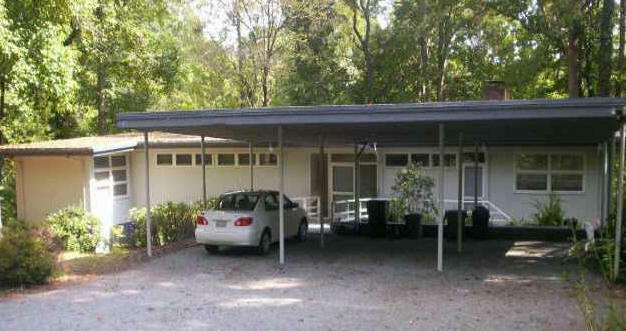 Read the appraisal and structural engineer's report commissioned by NCMH. 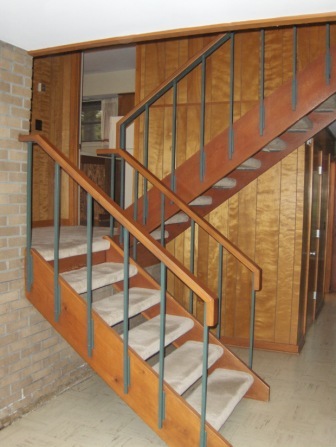 Sold in 2013 to Jolley Property Management who did a faithful restoration, bottom four photos. 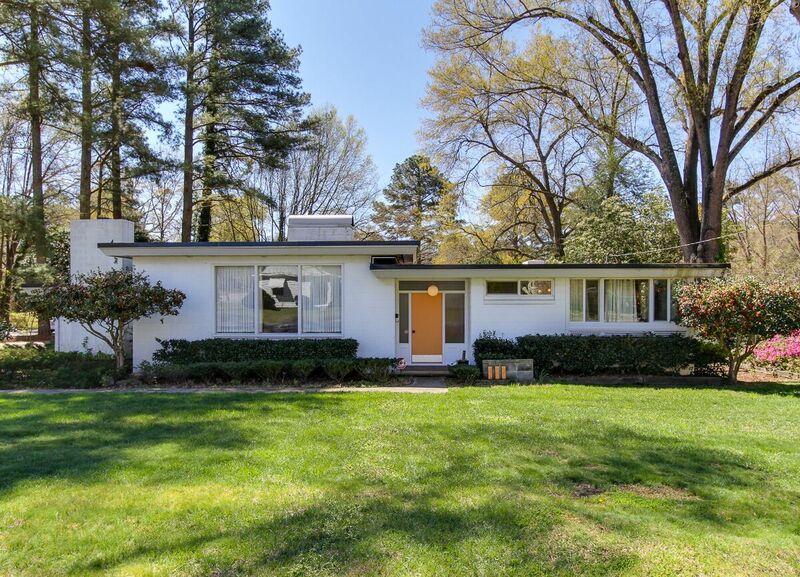 Sold in 2014 to Cara Melissa Stacy and Fred Graham Brooks III. 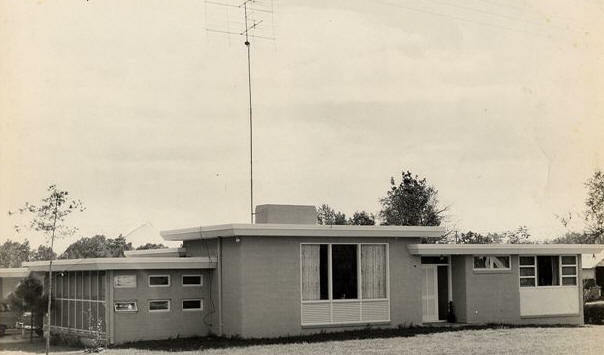 1953 - The Roy and Geraldine Tilley House, 420 Raleigh Street, Fuquay-Varina NC. The Tilleys raised their children there and kids from all over the neighborhood came by. 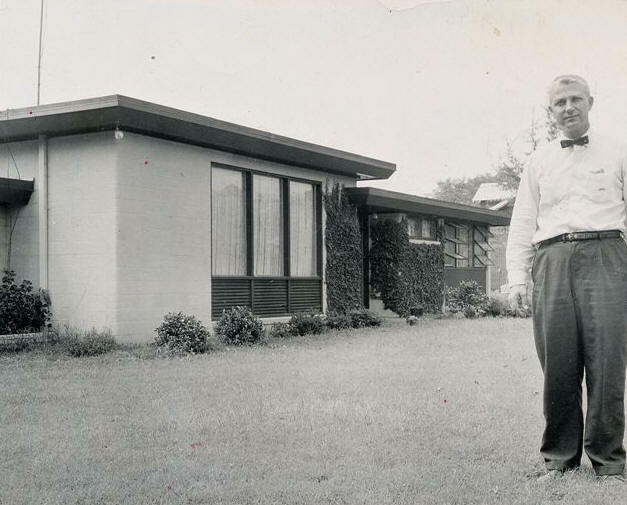 Pictured above, left, is one young man in the late 1950's. He came back to visit, right, in April of 2009 to stage this photo. 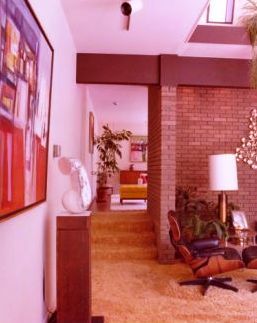 The house was sold to Donald and Janet Allen in 1970. Sold to Ann and George Kemp 1973. 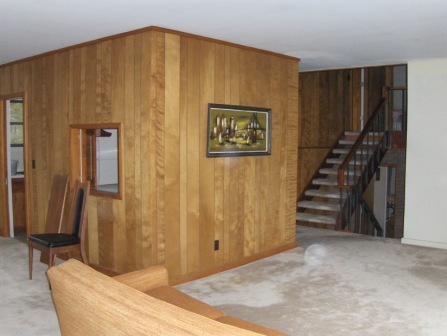 Sold to Charles and Ginger Cates in 1978. Sold to Hugh and Ruby Rogers in 1984. 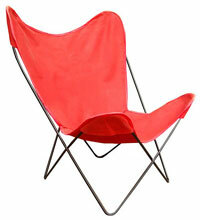 Sold to Cornerstone Trading Company in summer 2001. 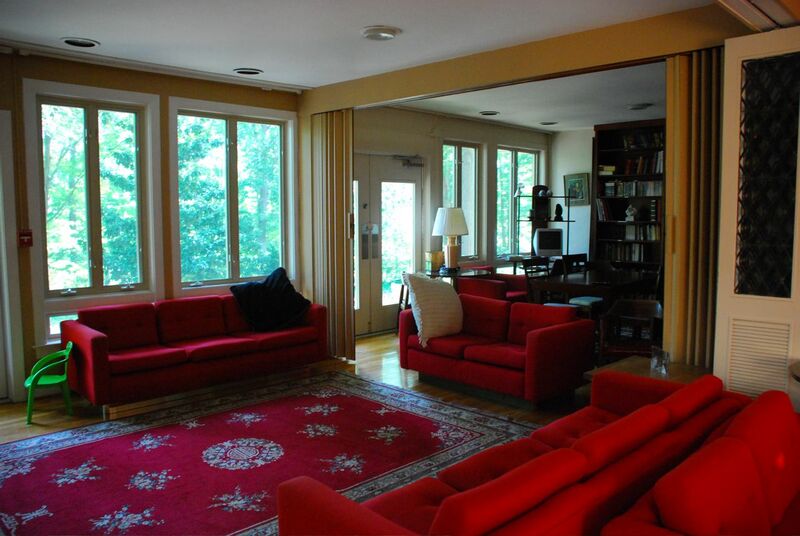 Sold in 2001 to Timothy and Debora McKinney. Sold in 2007 to Robert Volpe who did a restoration. Sold in 2017 to Crissy P. Porter. 1954 - The Solomon P. and Helen Perry House, 3413 Rugby Road, Durham. Built by Oney Johnson. 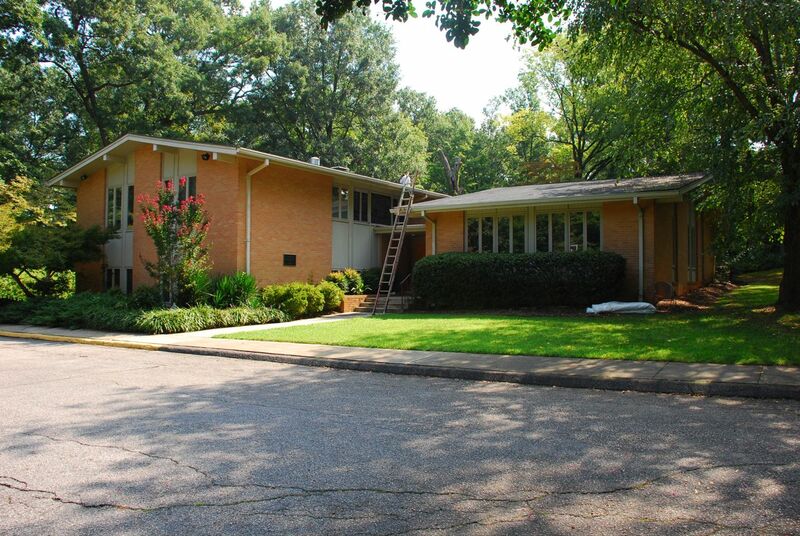 When Solomon Perry died, Helen Perry had Latimer design her another house at 3435 Rugby in 1967. Sold several times. 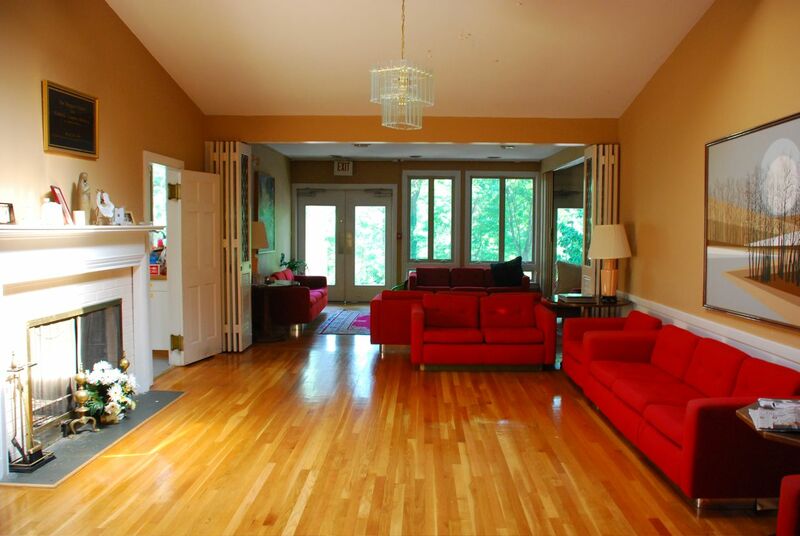 The living room features a floor-to-ceiling sandstone fireplace, cherry paneling, and two walls of windows. Concrete block construction. Sold in 1991 to Hideko Kamino and Howard Ratech. Sold in 1994 to Jeff Chase and Nonna Skumanich. Renovations by Frank Depasquale. Top photo from 1954. 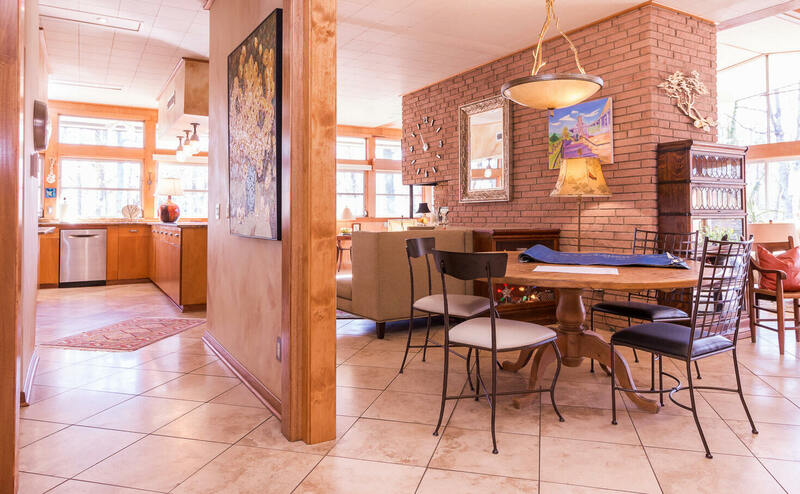 Sold in 2018 to Denise A Routhier and Colleen McClean. 1954 - The Roger Howell House, 1004 Kings Mill Road, Chapel Hill. Featured in the Chapel Hill News Leader, 1955. 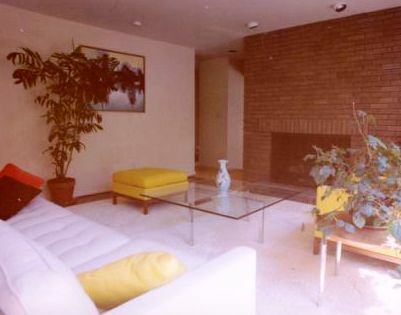 Sold in 1979 to Michael and Andrea Frosolono. Sold in 1993 to John D. Cherry. Sold in 2006 to Gary and Mary Glish, still owners as of 2016, who did renovations. 1955 - The James Kenan Beck and Nina Beck Residence, 300 Monticello, Durham. The house was renovated once, also by Latimer. 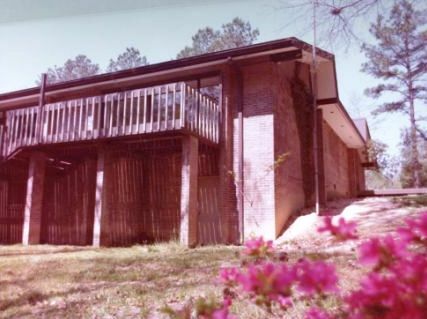 Owned by their son, James Kenan "Kenny" Beck until 2009 when it was sold to Joseph Barna. Photos by Kenny Beck. 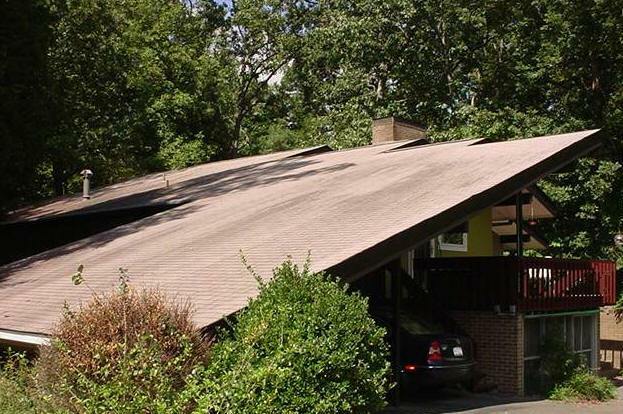 1956 - The Wallace and Janie Diehl House, 2410 Wrightwood Drive, Durham. 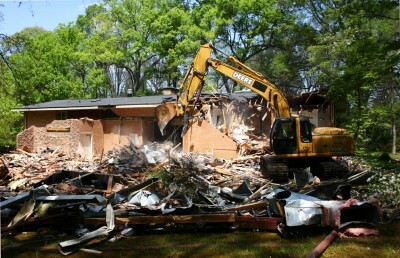 The house was originally planned for Norwood Circle. Sold in 1972. Sold to Ian Douglas Smith. 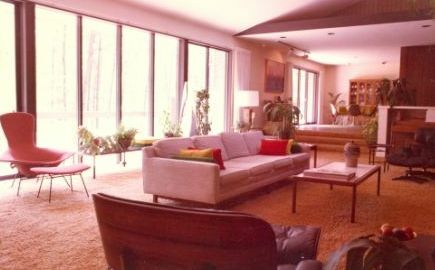 Sold in 1983 to Blake S. Wilson and Doris J. Rouse Wilson, still owners as of 2014. B/W photos from the Durham Herald-Sun, 1958. Bottom color photo from 2012 by Gary Kueber. 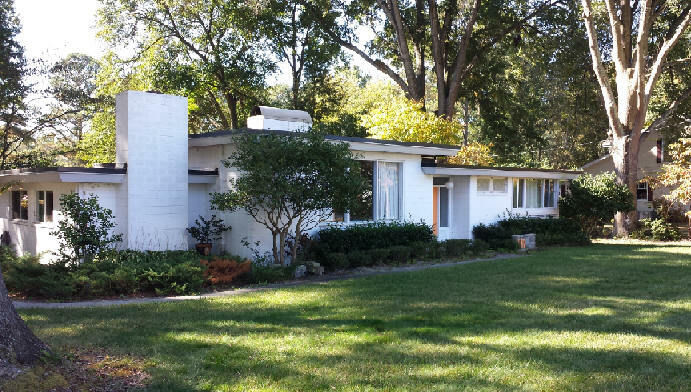 1958 - The George E. and Marvella Koury House, 450 Cedarwood, Burlington NC. Commissioned 1957. Built by Marvella's father, H. G. Vanney. 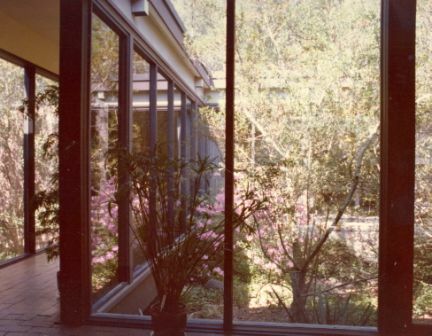 The house had a system for continuously circulating hot water throughout the large footage, and had polished concrete floors. It had a very large sunken tub in the master bath (like 5 feet x 8 feet) inspired by George Marvella's time in Japan immediately after WWII. 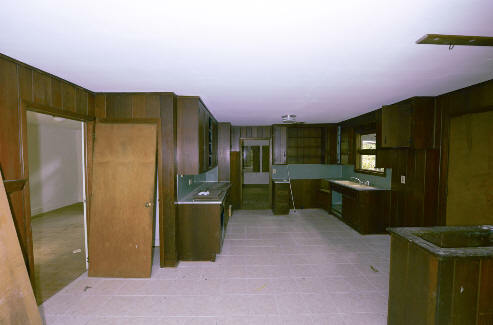 The kitchen had an island with a cooktop instead of the traditional stove/oven, and two side by side refrigerators and two wall ovens. 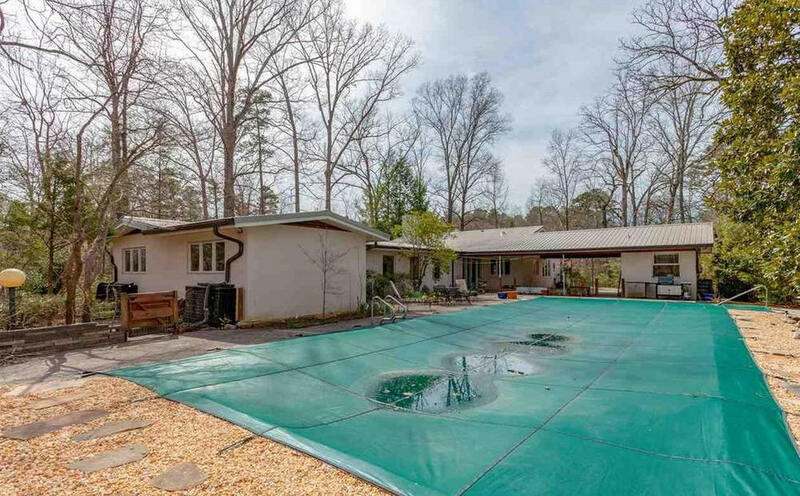 Sold in 1994 to Russell and Cynthia Huffines. 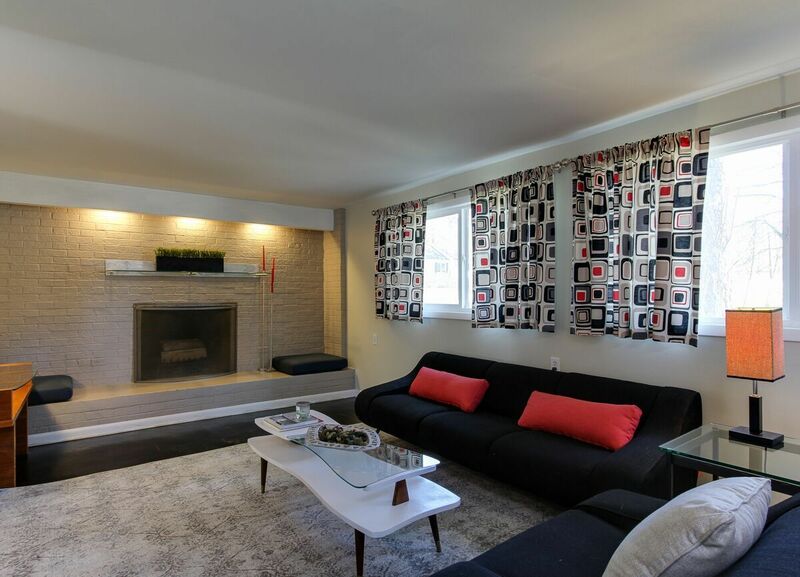 Sold in 2014 to Cynthia N. (Cindy) and Clifford C. Parks who did a renovation in 2015. Third photo by Bruce Bowman. Bottom three photos by Cindy Parks. The original roof was unique: tar with embedded small white stones. 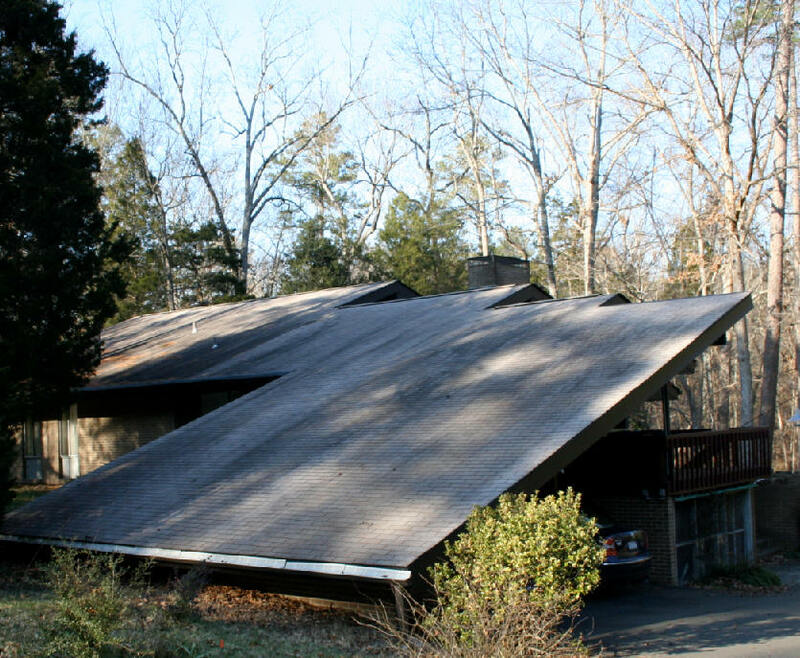 Unfortunately late in his life Koury had the original roof covered over with a thick layer of some sort of foam material, including covering the original ridge vent. 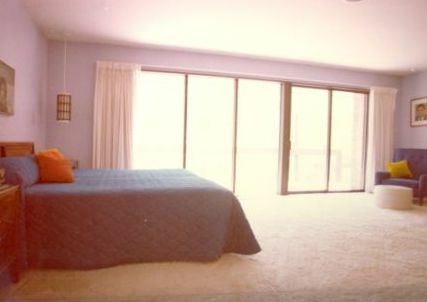 It had a unique electrical system feature: a 6"x6" light display in the master bedroom. 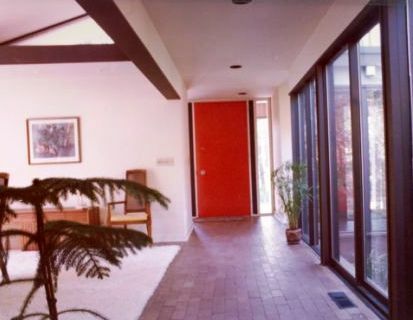 The 1/2" red buttons on the panel were connected to and labeled with each light fixture inside and outside the home. If kids left a light on in the house after bedtime the parents could turn them off from their bedroom. 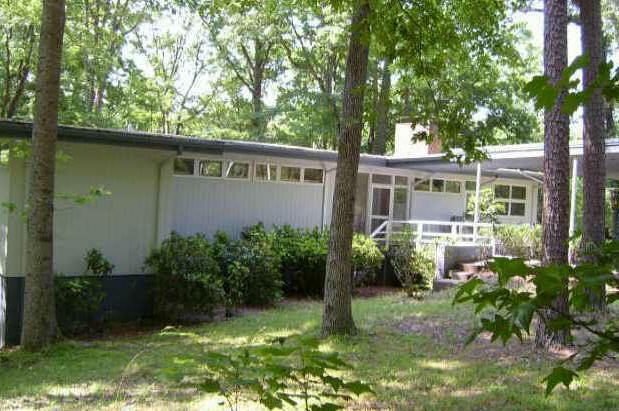 1958 - The Duncan M. and Josephine Getsinger Residence, 613 Sugarberry, a conventional house in Chapel Hill NC. Charlie Woodall was the draftsman. Sold in 1986 to Geraldine Laport. Deeded in 2001 to Geraldine and Robert Laport. Photo by Nicole Alvarez. Sold in 2017 to Lynne C. Fiscus and Michael Collins. 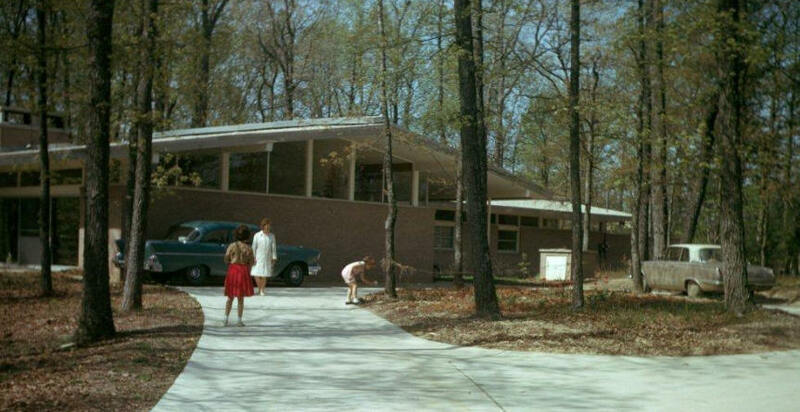 1963 - The Catholic Bishop's Residence, aka Little Maryknoll, 600 Bilyeu Street, Raleigh NC. Designed for Bishop Vincent Waters. Commissioned by the Raleigh Diocese of the Catholic Church. 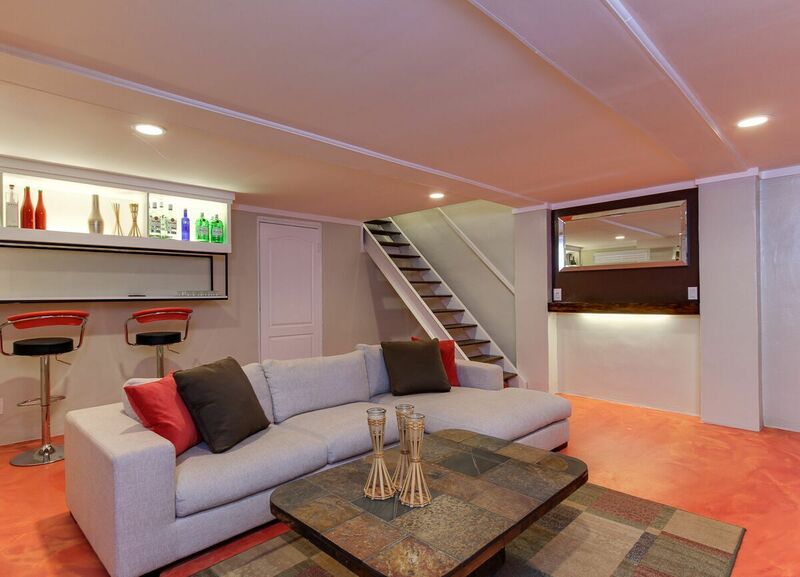 Features a bomb shelter. Waters' successor, Bishop F. Joseph Gossman, arrived in Raleigh in 1975 but only lived there a year. According to GoodnightRaleigh, For the next 20 years, the house served various functions, including a home for unwed mothers. 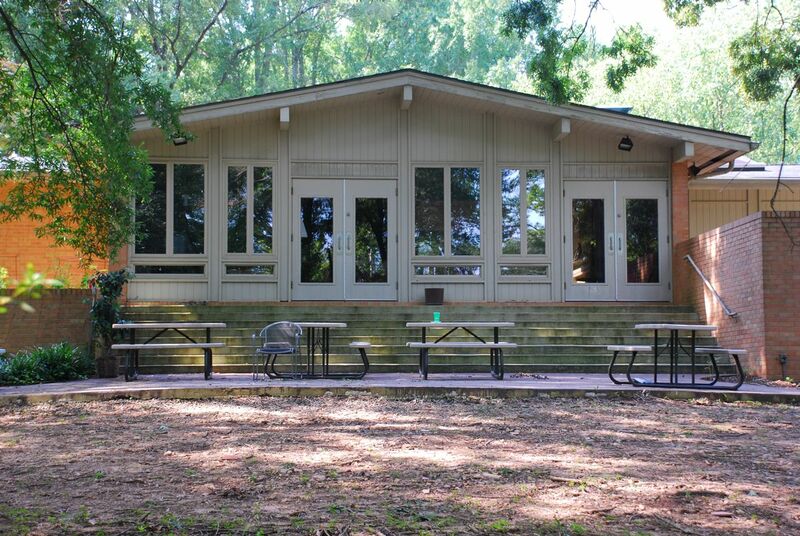 A Girl Scout troop and a Knights of Columbus council used the space for meetings and retreats. 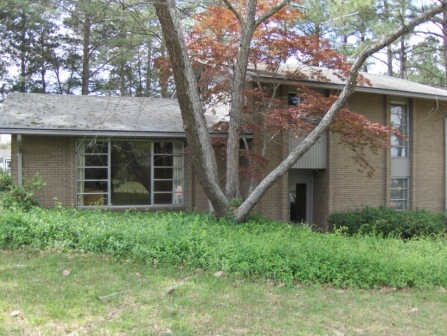 In the late 1990's the property was re-purposed as the Doggett Center for Catholic Campus Ministry at NC State University. In May 2012, the Doggett Center moved to an on-campus location to be closer to the center of student activity. 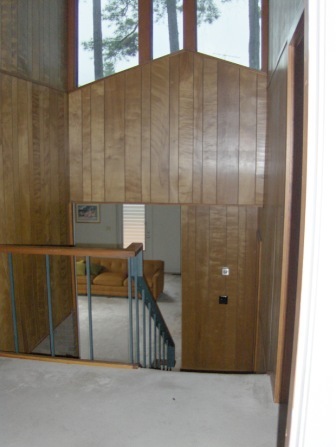 About that same time a building inspection revealed the house was in dire need of renovation. Little Maryknoll remained essentially vacant for the next year. Destroyed in April 2013. 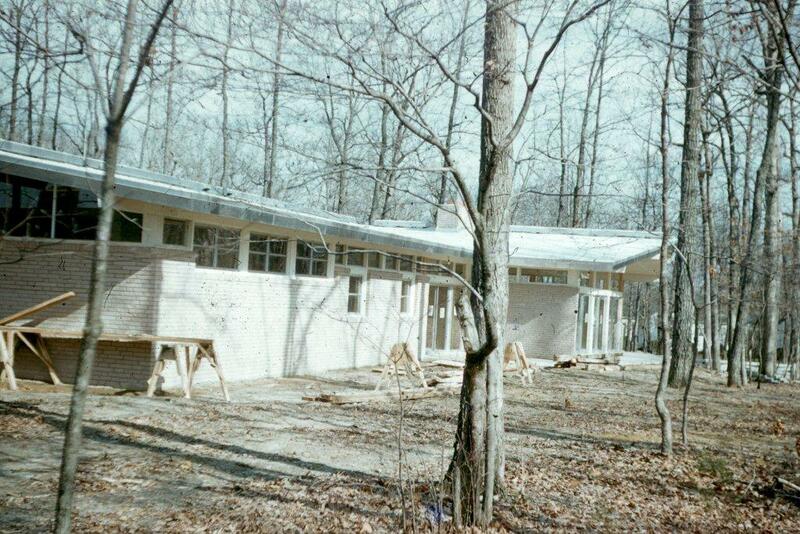 1966 - The Harold Lewis House, 1708 Woodburn Road, Durham. 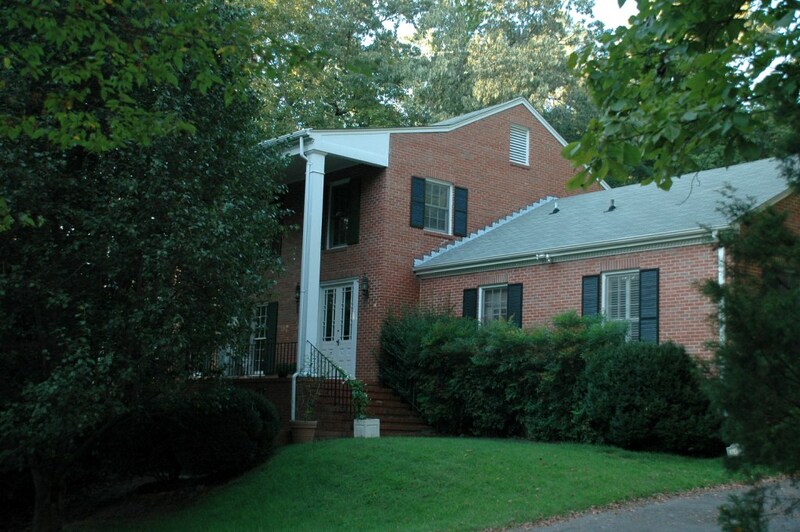 Sold in 2001 to David and Kathy Beratan, still owners as of 2014. 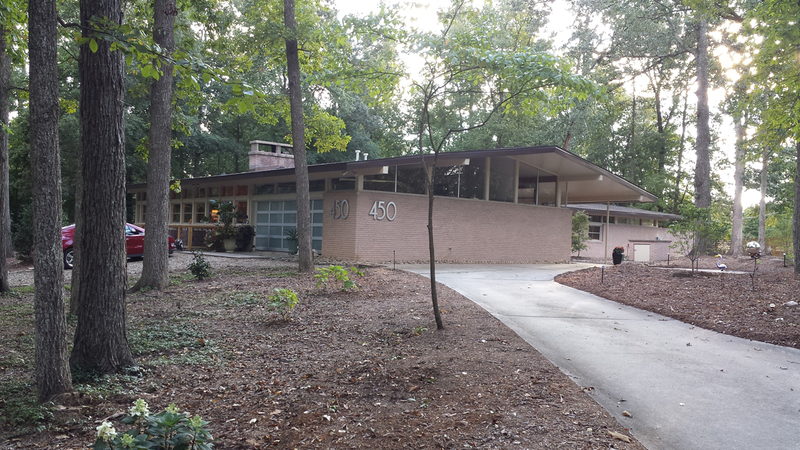 1966 - The Frances L. McDonald Residence, 1515 Bellevue Avenue, Durham. Sold in 2008 to Summer and Bobby Alston. Charlie Woodall was the draftsman. 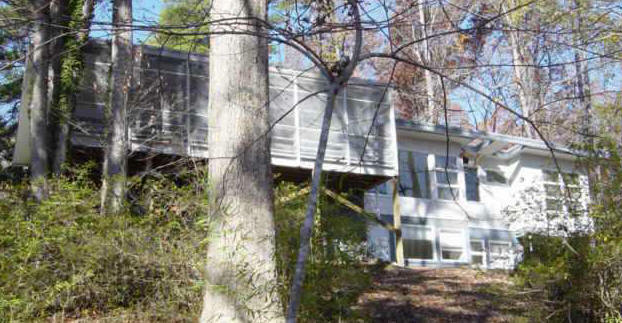 1967 - The John and Helen Latimer Residence at 4907 Garrett Road, Durham, designed with his son-in-law Tom Lawson. Latimer and his wife lived here until they moved to Cape Cod MA. 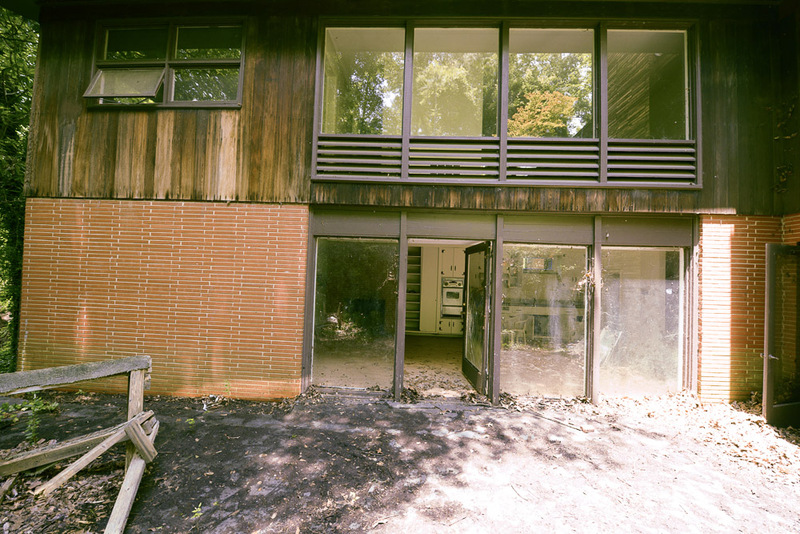 The site was purchased around 1985 by the Eno River Unitarian Univeralist Fellowship (ERUUF). They preserved the house for many years but eventually destroyed it to build a beautiful church sanctuary, bottom photo, in 2000. 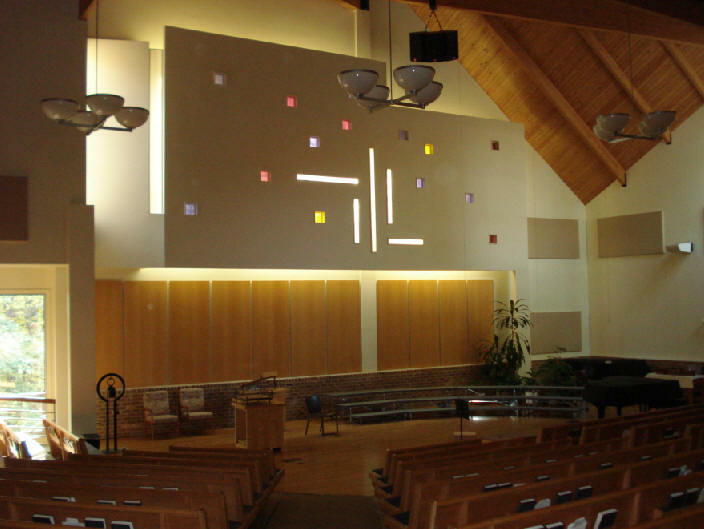 The church architect was Dixon Weinstein. 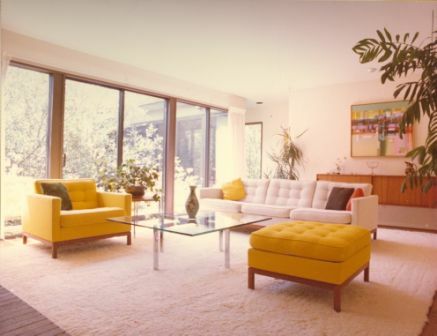 Older color photos by Jan Walter, an interior designer who worked for Latimer. 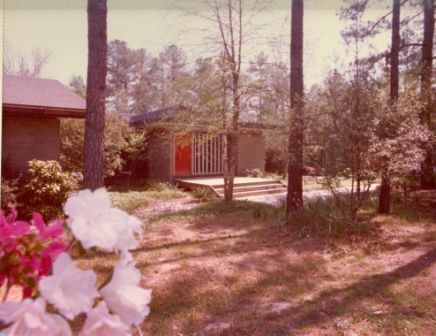 1974 - The Robert and Nancy Lincoln House, 5003 Garrett Road, Durham. 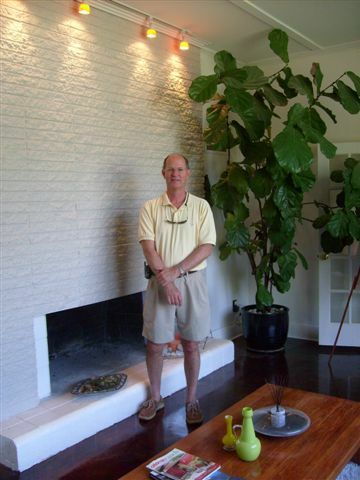 Managed by their son, Todd, who did a partial renovation in 2012, bottom three photos. 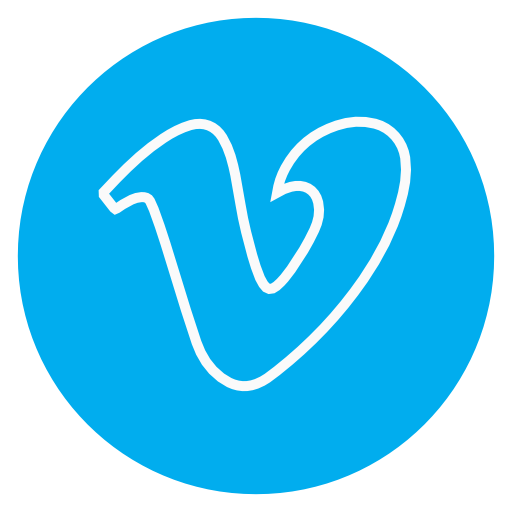 Sources include: Robert Volpe, Pat Johnston, ERUUF, Clay Taylor, Julie Hollenbeck interview of the Beratans, son in law Tom Lawson, Kenny Beck, daughter June Latimer Lawson, Charlie Woodall, Nonna Skumanich, Todd Lawson.